Drivers are distracted klutzes and computers could obviously do better. Self driving cars will make all of us safer on he road. Doctors have spotty knowledge and keep illegible records. EMRs with decision support will improve the quality of healthcare. The parallels are obvious. And so far the outcomes are disappointing on both fronts of our new war against human error. I remember vividly flunking my first driving test in Sweden. It was early fall in 1972. I was in a baby blue Volvo with a long, wiggly stick shift on the floor. My examiner had a set of pedals on the passenger side of the car. At first I did well, starting the car on a hill and easing up the clutch with my left foot while depressing and then slowly releasing the brake pedal with my right forefoot and at the same time giving the car gas with my right heel. I stopped appropriately for some pedestrians at a crosswalk and kept a safe distance from the other cars on the road. A few minutes later, the instructor said “turn left here”. I did. That was the end of the test. He used his pedals. It was a one way street. Three times this spring, driving in the dark between my two clinics, I have successfully swerved, at 75 miles (121 km) per hour, to avoid hitting a moose standing in the middle of the highway. 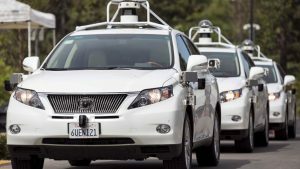 Would a self driving car have done as well or better? Maybe, maybe not. Every day I get red pop up warnings that the diabetic medication I am about to prescribe can cause low blood sugars. I would hope it might. Almost daily I read 7 page emergency room reports that fail to mention the diagnosis or the treatment. Or maybe it’s there and I just don’t have enough time in my 15 minute visit to find it. For a couple of years one of my clinics kept failing some basic quality measures because our hasty orientation to our EMR (there was a deadline for the incentive monies to purchase EMRs) resulted in us putting critical information in the wrong “results” box. When our scores improved, it had nothing to do with doing better for our patients, only clicking the right box to get credit for what we had been doing for decades before. Our country has a naive and childish fascination with novelties. We worship disrupting technologies and undervalue continuous quality improvement, which was the mantra of the industrial era. It seems so old fashioned today, when everything seems to evolve at warp speed. But the disasters of these new technologies should make us slow down and examine our motives. Change for the sake of change is not a virtue. I know from my everyday painful experiences that EMRs often lack the most basic functionalities doctors want and need. Seeing a lab result without also seeing if the patient is scheduled to come back soon, or their phone number in case they need a call about their results, is plainly speaking a stupid interface design.